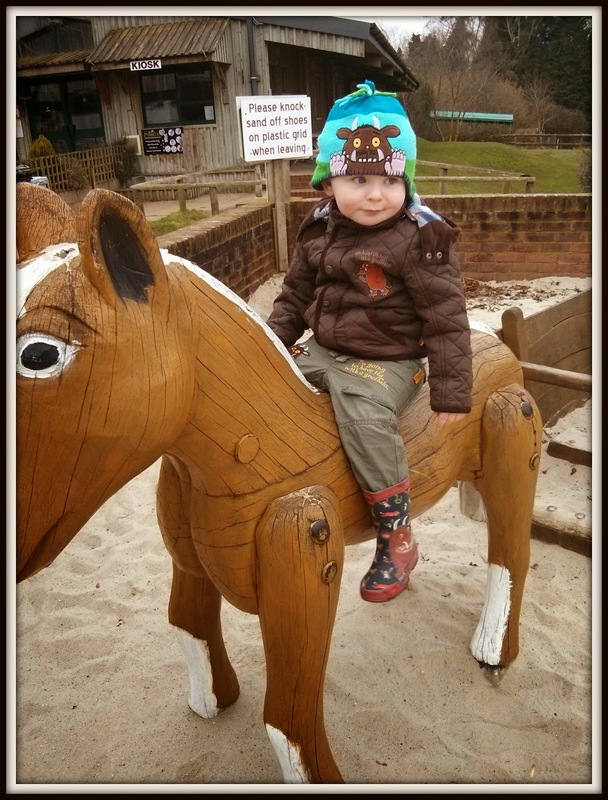 Entertaining Elliot: Trendy Tot Thursday - sponsored by The Gruffalo! The coat is great because it's not too bulky. I prefer to layer him up underneath rather than have it get too hot with a big thick winter coat - the only thing I would change is make is slightly longer as his bum is always on show!! The trousers are perfect for a day at the farm like we had today, they don't show the dirt too much and they also tuck into his wellies. I struggle getting his wellies on with jeans!